Hartenbos is no longer just a sleepy seaside village near Mossel Bay – and certainly not when it comes to property sales. Like many Garden Route destinations, it has experienced a significant influx of new residents and homebuyers in recent years and is now expanding rapidly. 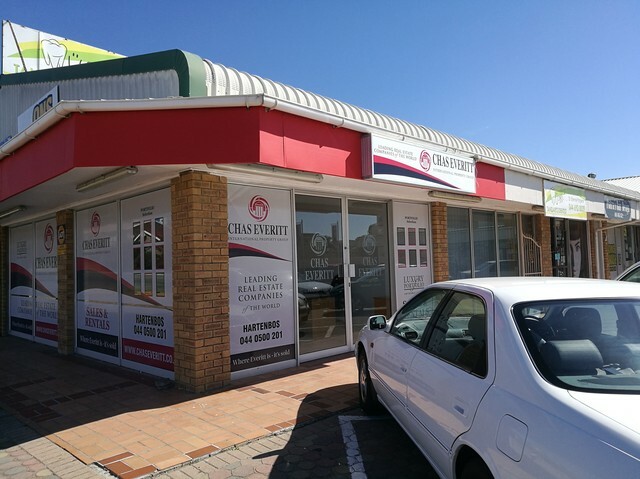 So says Chantelle Grard, principal of the Chas Everitt International franchise in Mossel Bay, who with her business partner Charmaine Deacon has just opened a new office in Hartenbos to serve the growing market. This office has a high-visibility location on the corner of Louis Fourie and Boekenhout streets at the entrance to the village and already has a complement of six top agents. “Hartenbos has always been a popular holiday and retirement destination due to its mild climate, a beautiful Blue Flag beach, warm sea, river frontage and many opportunities to experience unspoilt nature, including regular sightings of the Southern Right whales that return to this coast every year,” she notes. “It is also only about 10 minutes’ drive from Mossel Bay and all the amenities of the bigger centre. The Langeberg Mall with 90 stores and restaurants is the closest shopping centre to Hartenbos, and we also have some of the best medical facilities in SA, including two private hospitals and a provincial hospital. She says it is also interesting to note that the population of Hartenbos is getting “younger”, with the biggest cohort of recent buyers (42%) being in the 35 to 50 age-group, while the biggest cohort of existing owners (37%) is in the 50 to 65 age group. Deeds Office statistics show that the average price of sectional title homes in Hartenbos has risen from R950 000 a year ago to around R1,2m currently, Grard says, and the average price of freehold homes from R1,35m to just under R1,6m. “There have been more than 140 home sales in the area in the past 12 months and the strength of demand is further indicated by the fact that the average number of days that a home is on the market before being sold has dropped from 97 to 82. Chas Everitt International currently has almost 100 properties for sale in and around Hartenbos (seewww.chaseveritt.co.za), and for more information or to arrange a viewing, buyers should call the new office on 044 0500 200. The new Chas Everitt International office in Hartenbos has an eye-catching location – and a team of highly qualified and experienced agents.